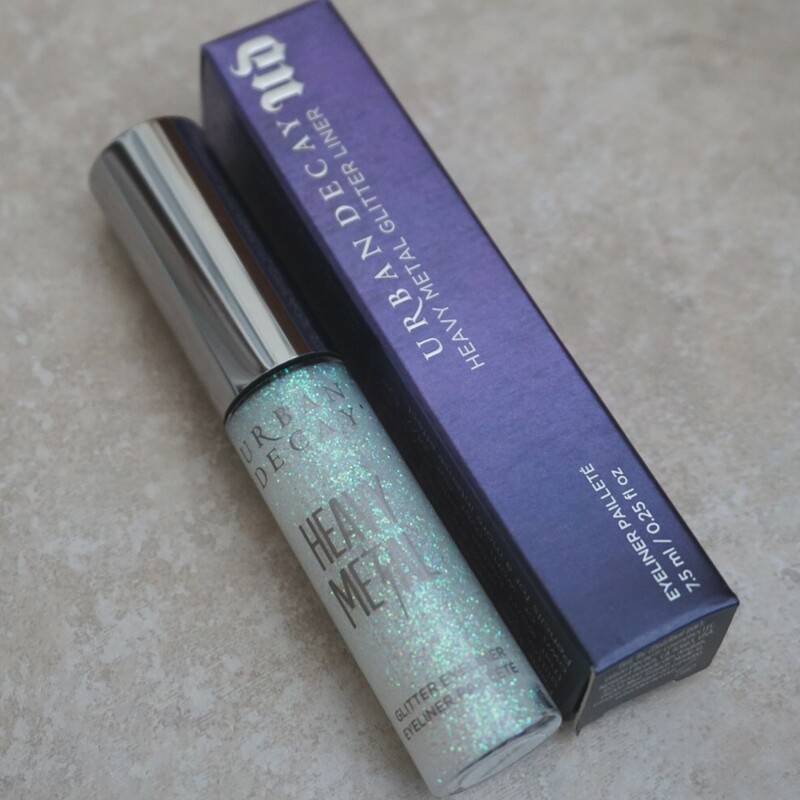 Does the Urban Decay ‘Distortion’ Glitter Liner live up to my expectations? So, after falling in love with the Urban Decay Glitter Liner in the shade ‘Amp’ – a tealy colour – I knew Distortion would be the next choice for me. I’d seen the iridescent, sparkling glitter on one of my favourite makeup artists (Belle Jorden) and knew I wanted to also create a dramatic wing by combining white liner with a thick layer of glitter. Truth be told, more applications were required with Distortion, in comparison to Amp, but that’s naturally to be expected due to the ‘see-through’ nature of this glitter… it was never going to pack the same punch of colour. The best thing is, it also looks great on it’s own, thanks to the mixture of green, pink, silver and numerous other shades. Yesterday, I decided to apply it on top of a neutral base (a half-cut crease using a shade from the Anastasia Beverly Hills Modern Renaissance palette) to show you guys that this product can be manipulated in various ways… it’s 100% worth the £15 price-tag! So, with all of the above considered, which look do you prefer – a half-lid, scattered application of glitter along the cut-crease or an intricate flick? I personally prefer the flick – it’s so easy to create if you’ve nailed the initial wing shape! And on that note – who would like to see an eyeliner tutorial? I’ve been meaning to film one for SUCH a long time, but I have SO many products to review for you guys still… let me know! Follow my blog for more product reviews, makeup tutorials and beauty related discussions! I really like the cut crease look! The glitter gives it a very different look. I haven’t had the chance to try these yet. Would you rather buy these or the new Stila Glitters? I’d like to try those too, as love Stila products! Can’t compare them without knowing what they’re like, but the Urban Decay ones are incredible!